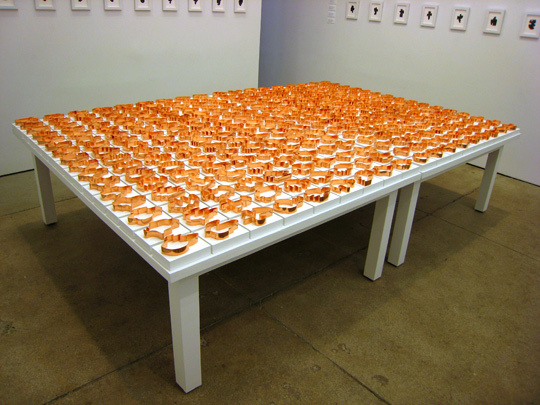 Currently on display at the Friedrich Petzel Gallery in New York City is Shapes from Maine, an exhibition by Allan McCollum. 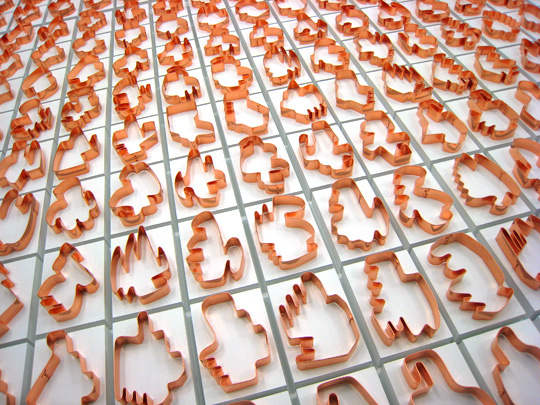 The show brings together thousands of maple hardwood ornaments, rubber stamps, and, of interest to us, copper cookie cutters. 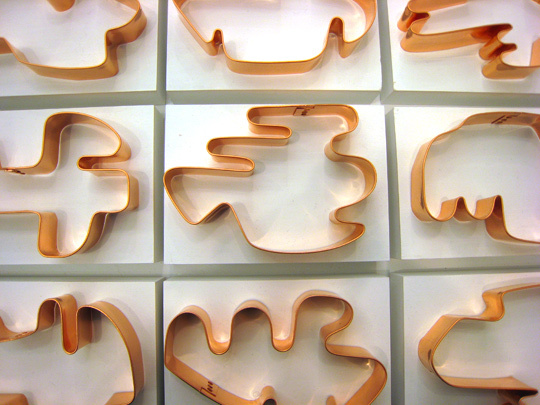 When the abstractly-shaped hand-made cookie cutters are taken out of context, all lined up in a meticulous, repeating manner, they assume a whole new meaning. 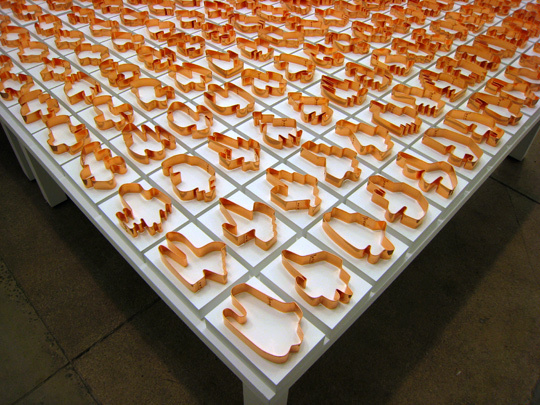 Extending on his 2005 Shapes Project — a system "created to produce (and keep track of) enough unique graphic emblems for every person on the planet, without repeating" — McCollum contacted artists and artisans in Maine and had them produce custom, hand-made "Shapes" objects for the exhibition. 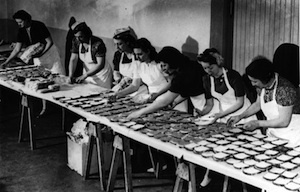 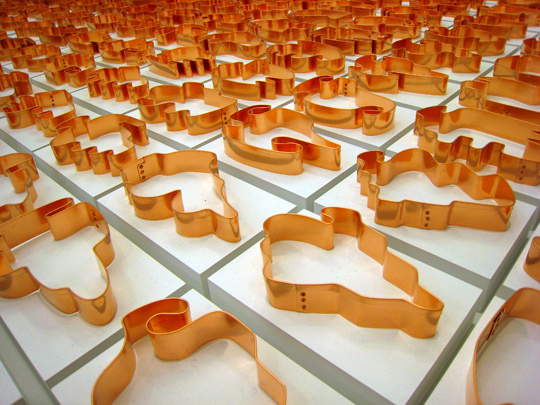 The copper cookie cutters were produced by Holly and Larry Little, of Aunt Holly's Copper Cookie Cutters, in Trescott, Maine. 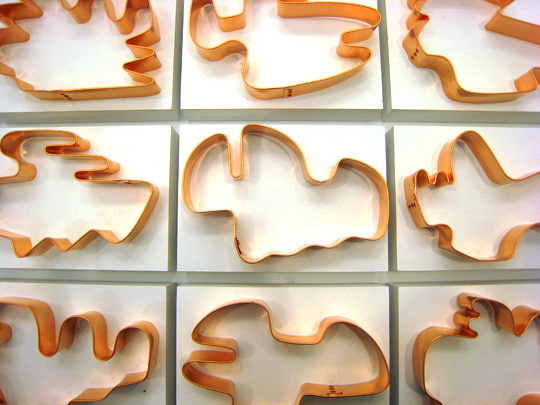 Shapes from Maine runs from Friday January 16th through February 14th, 2009.